(a) Apply MP grease to the lip of a new rear engine oil seal. Keep the lip free of foreign matter. 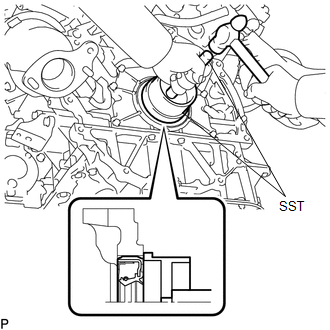 (b) Using SST, tap in a new rear engine oil seal until its surface is flush with the rear engine oil seal retainer edge. Do not tap on the rear engine oil seal at an angle.